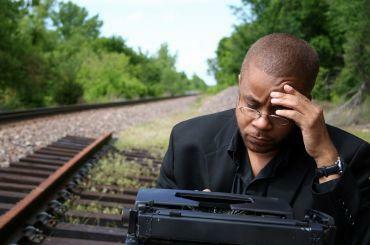 Most bestselling novelists were once impoverished, struggling writers. By looking at the best selling novelists of all time, we can better understand exactly what it takes to become a master of the craft. That is not to say that all great fiction writers must be humongous bestselling authors, however. In fact, many literary critics will argue that many of the most popular writers in the world are not outstanding at all. So, best selling novelist is not always synonymous with exceptional literary talent. That being said, let's take a look at some of the novelists who have struck gold by selling hundreds of millions of copies of their books. Before we begin this list, it must be noted that William Shakespeare has sold more fiction than anybody else in history, with over two million books sold. Though it would be difficult to classify Shakespeare as a novelist, he is obviously an enormously gifted, unprecedented playwright and poet. Agatha Christie is estimated to have sold a maximum total of two billion books. She wrote a total of 85 over the course of her lifetime. Known for her novels of murder, mystery, and the crime thriller genre, English novelist Agatha Christie has sold an astronomical number of books. Novelist Barbara Cartland has sold an estimated maximum of one billion books. Cartland is one of the most prolific authors of all time, having written 723 books. She is known for writing romance novels. Harold Robins has sold an estimated maximum of 750 million books. Known for the adventure genre, Robins has published 23 books. Georges Simenon has sold an estimated maximum of 700 million books. Simenon is known for his detective novels. An almost unprecedentedly prolific author, Simenon has had 570 books published. Danielle Steel has sold an estimated maximum of 560 million books. Steel has mastered the genre of romance. Steel is currently the best selling fiction writer alive. Gilbert Patten has sold a maximum estimated number of 500 million books. Patten is known for his adolescent adventure novels. Leo Tolstoy has sold an estimated maximum of 413 million books. J.K. Rowling has sold a maximum estimate of about 400 million books. Maybe you've heard of them? They are about some boy wizard named Harry Potter. Jackie Collins has sold a maximum estimated amount of 400 million books. Known for her romance novels, Collins has had all 25 of her novels become best sellers. Horatio Alger has sold a maximum estimated amount of 400 million books. Known for dime novels, Alger has had 135 books published. Stephen King has sold an estimated maximum of 350 million books. Known for horror and fantasy, with over 70 books, King has become synonymous for modern tales of the macabre. Dean Koontz has sold a maximum estimate of 325 million thriller books. Koontz has had over 60 books published. Though these bestselling authors come from various centuries, countries, backgrounds, and influences, some commonalities can be seen in their writings. Let's take a closer look. Their books feature themes people can relate to. These bestselling authors have shown us that readers buy books that they can relate to. Genres such as romance and mystery intrigue readers because they can usually identify with some of the characters or situations that arise in the plot. These novelists were not born bestselling authors. All these writers had to struggle to become the successes they have evolved into. Many writers do not achieve success while alive. Those who do have certainly struggled and given everything to their craft in order to make it to the top. These writers have certain amount of natural talent. If you have what it takes, and never stop working, you will become a bestselling novelist. If you don't have what it takes, no amount of effort will turn you into a gifted writer. These writers were brave enough to follow their dreams. Even great writers must struggle endlessly, often in poverty, to rise from struggling artists into international phenomenons. These extraordinary writers did not settle for being ordinary freelance copy writers; they went for their dreams at all costs, and they achieved it because they were creative, gifted and driven.